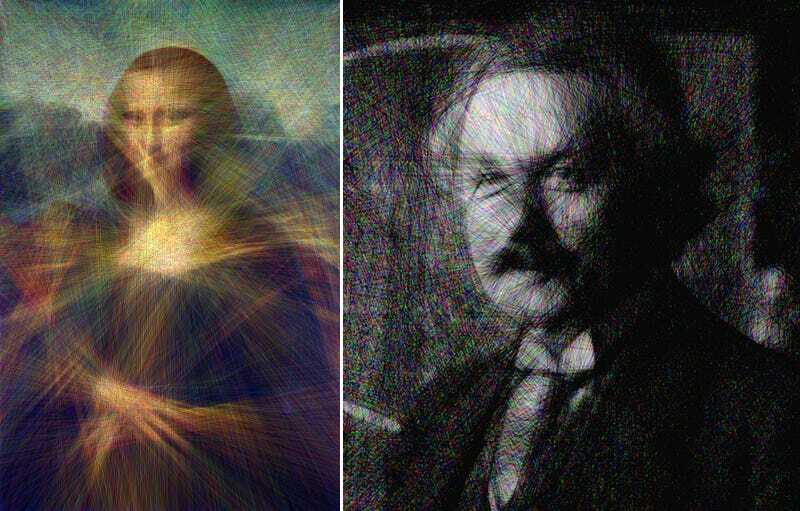 A Reddit user who goes by the handle Jungsosh has created a surprisingly captivating site called Linify.me that redraws any image or photo you upload using nothing but criss-crossing straight lines. The results are impressive, and watching an image slowly built up line-by-line is unexpectedly relaxing. Linify uses a greedy randomized algorithm. First, the darkest pixel is found. Then a number of random lines are drawn through that point, and the pixel values along each line are added together. The line with the darkest average is chosen, and the value of that line is subtracted from the image. Then the whole process is started over again for however many lines we are drawing. You can also customize your artistic creation, by customizing certain parameters. For example, you can boost the number of lines generated to increase detail. This, of course, comes at the cost of longer total processing time. If you’re in a hurry, you’ll want to keep that number below 10,000. But if you’re trying to kill time on a boring Tuesday morning, feel free to go well past that.